An interior depiction of the Kjorbo project. With these projects, and the Cob Research Institute, the goal is “to create a base of education and repetition so it can be used to convince code authorities, yes, this stuff can be permitted,” Fordice said. “There’s a lot of interest” in building with, and legitimizing cob, but not a lot of financial support, said Fordice, whose institute is volunteer-run. “If you look at the steel, we’ve avoided 5,000 tonnes in carbon emissions by not having to produce the steel that would have been needed to replace that building,” Mr Wall said. The Allards got the name of Second Chance through an architect they had met. Once they realized the win-win situation that using Second Chance presented to them: making a tax deductible donation to deconstruct, paying less than demolishing would cost, doing something positive for young men who wanted to turn their lives around, and avoiding putting tons of materiel into a landfill: they were ready to sign on the dotted line. On top of that, the owner gets 15 points towards green home certification. The American Chemistry Council’s www.BuildingWithChemistry.org provides the building industry with the tools needed to make “informed decisions” about materials and products that improve safety, energy savings, durability and other sustainability and performance benefits, says Richard Skorpenske, director of advocacy and sustainability at Covestro, and chair of ACC’s building and construction subcommittee. The website includes an interactive graphic of a mixed-use residential building that highlights how chemical ingredients are used in materials, from polycarbonate panels in skylights, to plastics in piping, to nylon and polyester fibers in carpeting. Individual pages feature specific chemicals used in a range of building and construction applications, with information on where the chemicals are used and the functionality they provide. Sustainable Design – What Does it Really Mean? 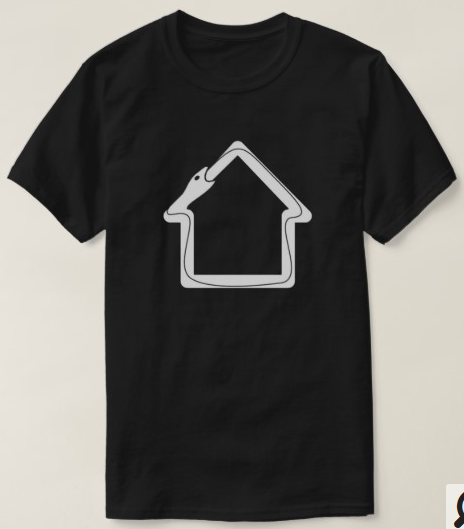 The embodied energy of the existing building, a term expressing the cost of resources in both human labour and materials consumed during the building’s construction and use, is squandered when the building is allowed to decay or be demolished. 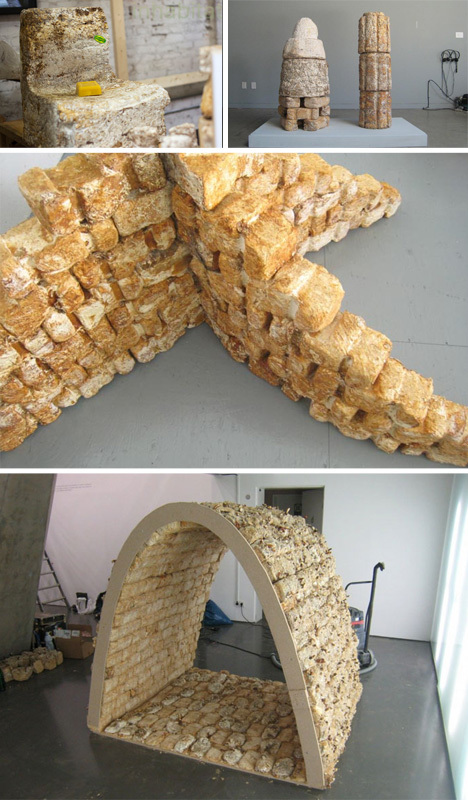 Source: Sustainable Design – What Does it Really Mean? Law firms over the past few years have gone green, focusing on sustainability, according to a report in the New York Law Journal. via Law firms making the case for sustainable buildings | Proud Green Building. The omnibus would provide $11 billion for programs under the Department of Energy, a $794 million increase above 2015. 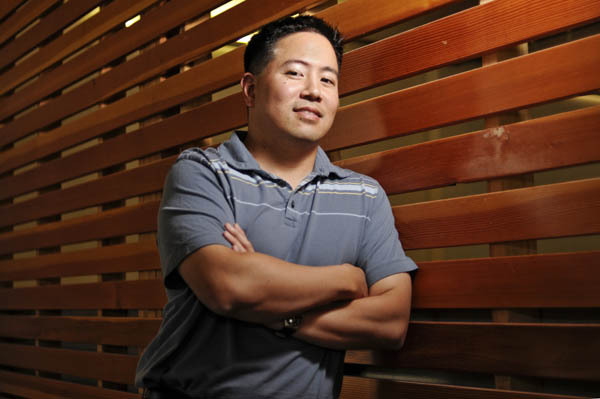 Specifically, the Buildings Technologies Office received a $28 million increase for next year. The bill also funds programs like the Clean Energy Manufacturing Innovation Institutes at $70 million and provides $10 million for a competitive funding opportunity to achieve deeper energy efficiency improvements in small and medium-sized buildings. via Congress passes funding, tax incentives for green building community | Proud Green Building. Green Building Elements | From brick and mortar shops to city planning, we cover sustainable trends in construction, renovation, and more. If you examine some our most prominent building materials, it quickly becomes obvious that the way we’re doing things is causing a multitude of harm to our planet. 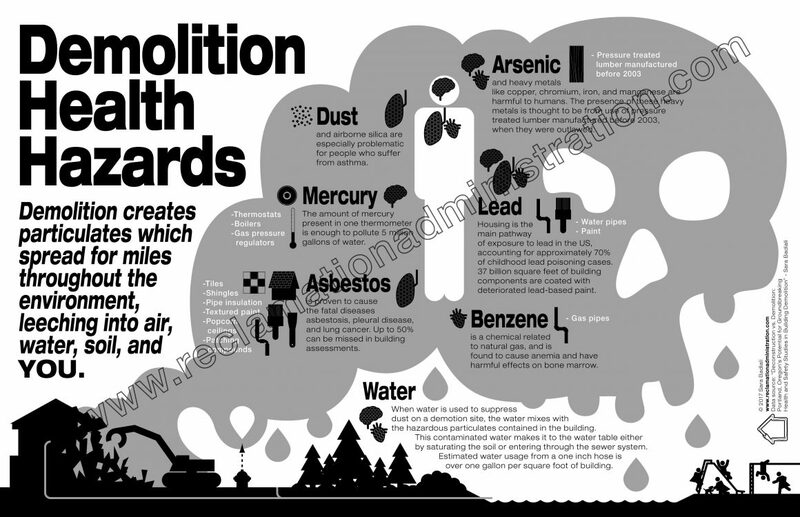 The effects include a short list of things like land destruction from mining, deforestation, and significant greenhouse gas emissions from high energy consuming manufacturing. via Eco Expo Asia set for Oct. 28-31, 2015 – Construction & Demolition Recycling. Destruction driven by the 20% VAT penalty on property refurbishment? Demolition of Wychwood House on the Woodberry Down Estate, London in June 2007. Photo: Sarflondondunc via Flickr (CC BY-NC-ND 2.0). via Use VAT to reward ‘green’ refurbishment – not demolition – The Ecologist. Earthships New Solutions – Part 1 of 4 – YouTube. 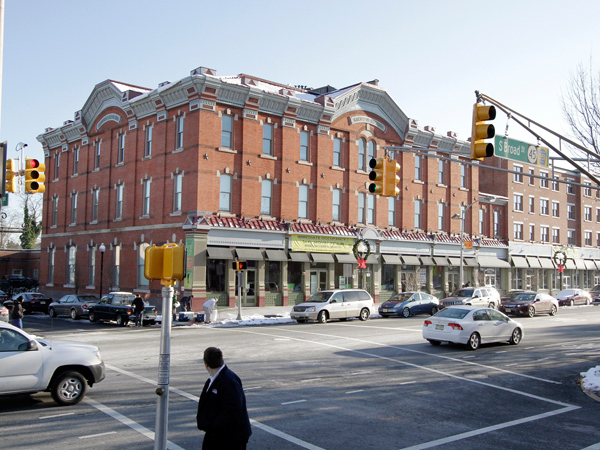 via Landmark Woodbury theater revived as apartments. 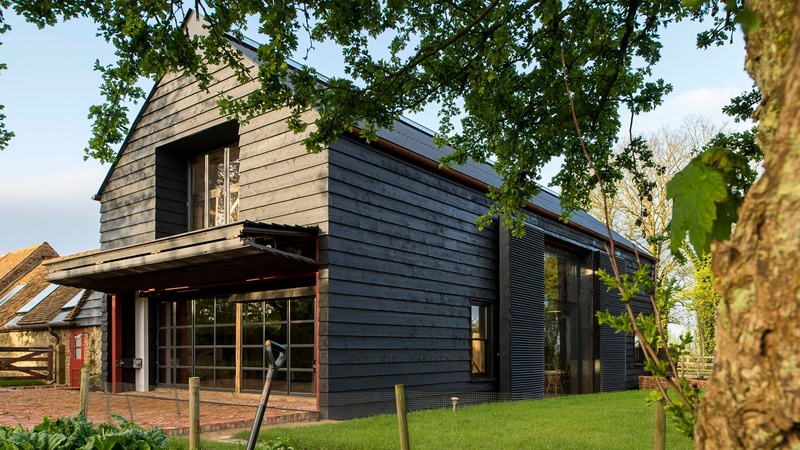 Inhabitat has a great feature on this wonderful eco-house in trouble. Don’t miss it, or the opportunity to sign the petition to save it. The Pembrokeshire County Council has given Charlie Hague and his partner Megan two months to demolish their beautiful hobbit home, which has a green roof and lime-plastered straw bale walls. Charlie built the home on his father’s property over a period of one year using techniques learned from the nearby Lammas eco-village in West Wales. Prior to that, before Megan fell pregnant, they were living in a caravan. Certain that the planning council would not give them permission to build the home, Charlie went ahead anyway, but applied retroactively for permits. These were denied because “the benefits of a low-impact development do not outweigh the harm to the character and appearance of the countryside having regard to the provisions of the development plan,” ruled the inspector. via Beautiful Hobbit Home to be Demolished for Being “Harmful to Rural Countryside” | Inhabitat – Sustainable Design Innovation, Eco Architecture, Green Building. 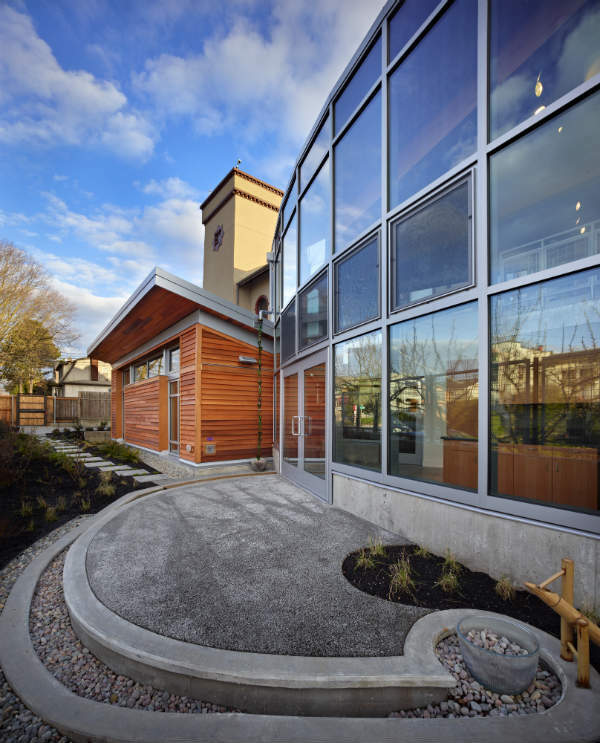 Join the Portland-Western Columbia Chapter for the 10x10x10 Green Building Slam Design Showcase! The10x10x10 highlights ten exemplary projects of sustainable building design and construction in our region. These projects push the envelope in our built environment. 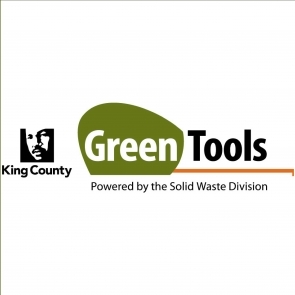 via 10 x 10 x 10 Portland Green Building Slam Design Showcase — Northwest EcoBuilding Guild. Mayoral candidate Bill Peduto says a green bank to help developers finance green building costs would take about two weeks to set up. “All you need is a dedicated person at the URA who works on sustainability issues,” he told me. That Urban Redevelopment Authority employee would help developers — probably mostly small developers — identify state and federal grants and incentives that would allow them to build green. That’s the missing link — the coordination, Peduto said. That’s what keeps most small developers from taking advantage of programs that pay for green performance. Plus, there would be a fund balance to help with financing, which might come from local foundations, Peduto imagines. The Pittsburgh city councilman proposed this CleanTech Investment Fund as part of his 100 days/100 policies to change Pittsburgh blitz. In an earlier installment, #48, Peduto proposed developing energy benchmarks for all city buildings. “Then the city should start working with partners in the nonprofit and private sectors to pioneer a comprehensive program to drive down energy usage and drive up property values across the city,” he said. via Peduto pitches green building fund – Pittsburgh Business Times. Mycologist Philip Ross is seriously into mushrooms, but not as a food — instead, he uses fungi as a building material. Beneath the surface of the ground, fungi form a wide network of thin, rootlike fibers called mycelium. That part of the fungus isn’t particularly tasty, but Ross discovered that when dried, it can be used to form a super-strong, water-, mold- and fire-resistant building material. 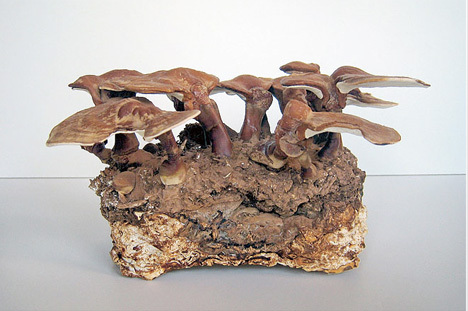 The dried mycelium can be grown and formed into just about any shape, and it has a remarkable consistency that makes it stronger, pound for pound, than concrete. 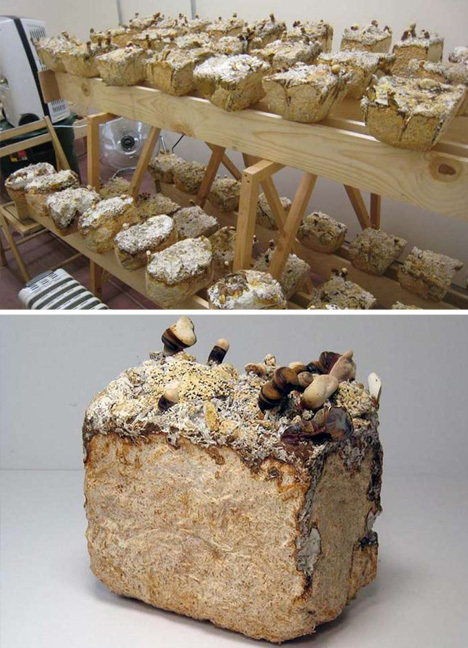 via Phillip Ross Molds Fast-Growing Fungi Into Mushroom Building Bricks That Are Stronger than Concrete | Inhabitat – Sustainable Design Innovation, Eco Architecture, Green Building. WOODBURY — There’s no telling what sort of trash or treasure might materialize when you’re gutting a building more than 130 years old. 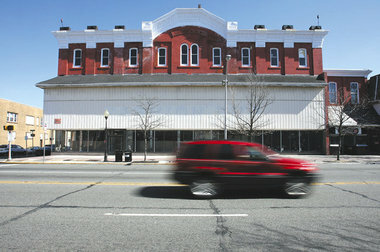 RPM Development Group is keeping a lookout as they begin interior demolition at the historic G.G. Green Block building. 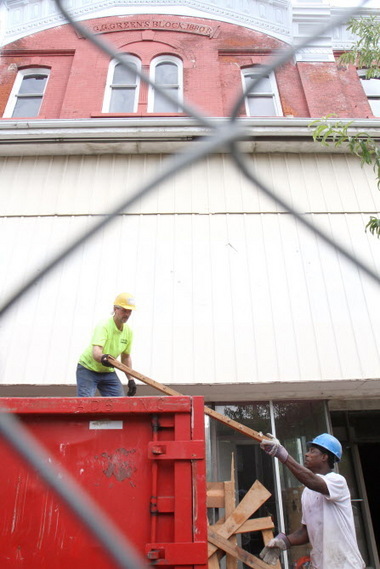 This week, workers were hauling items out of the structure — which is now being restored and redeveloped into a mixed-used, age-restricted residential space. RPM Development, the firm behind the entire transformation, is removing much of what’s left inside of the former opera house and saving whatever they can. The group intends to salvage as much of the building and its original appeal as possible. Originally built as an opera house for live performances, the Broad Street location has included a movie theater, The Rialto, and first-floor retail space later on. It was placed on the National Register of Historic Places in 2001. Though unsure of what’s left in the building, the Woodbury Antique Centre has expressed some interest in what’s to be found. An employee who declined to be named said they’d be willing to take “basically anything” that’s worth something. The Gloucester County Historical Society is willing to accept donations for their museum as well. “I’ve never been inside, but it’s really interesting,” said museum coordinator Kathy Fleming. “We’re always up for looking at any items that are of significance to Gloucester County. As part of the redevelopment plan, Kavanaugh said the group was looking to salvage and repurpose as much of the old opera house as they could to retain the historical relevance of what once was. RPM is also revitalizing the former #1 Chinese Kitchen and Christian Science Reading Center, which is attached to the G.G. Green building. Both of those contemporary structures will be demolished and rebuilt in the original style of the G.G. Green Building. via Interior demolition of historic G.G. Green building in Woodbury may find valuables | NJ.com. 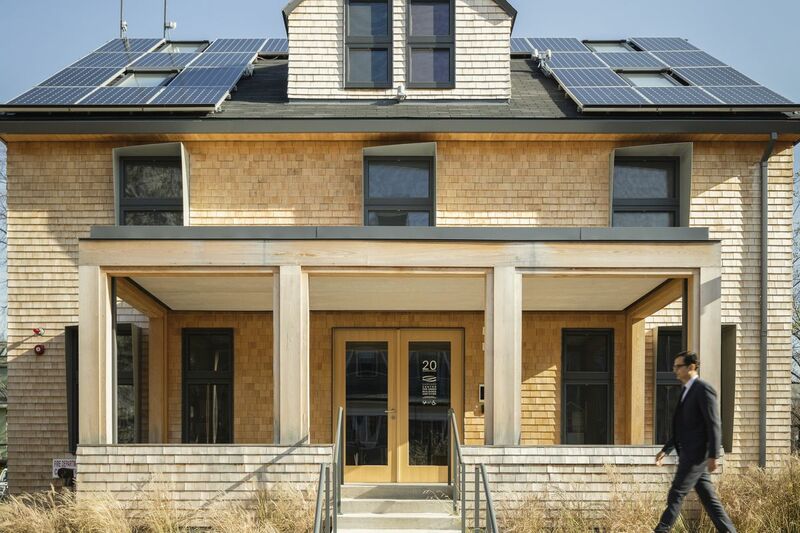 Constructing a new, energy-efficient building, even with many green bells and whistles, is more harmful to the environment than reusing an existing structure, according to a report released this year by the National Trust for Historic Preservation. The group’s study, “The Greenest Building: Quantifying the Environmental Value of Building Reuse,” concluded that reusing and retrofitting existing buildings almost always offers environmental savings over demolition and new construction. Portland has many aging buildings ripe for adaptive reuse. The trouble is that many retrofits would trigger costly improvements, like seismic upgrades, that can outweigh a building’s potential for future revenue. As of 1996, there were roughly 1,200 unreinforced masonry buildings in Portland that would be particularly vulnerable to collapse if an earthquake were to hit, according to a city survey. Some of those have since been upgraded, but most remain. Some industry experts think more needs to be done to encourage renovations. ABHT was the structural engineer for a $20 million project in 2009 that expanded the historic 42,500-square-foot Skidmore Fountain Building into an 80,000-square-foot, Leadership in Energy and Environmental Design platinum-rated headquarters for Mercy Corps. Toma said up to a quarter of the total construction budget went toward seismic upgrades. But environmental benefits of such projects can also be significant. Woodbury was trying to revitalize its downtown when I was a young reporter there in 1980, and this likable little city hasn’t stopped trying since. So I’m tempted to suggest “Woodbury: The Work’s Never Done” as a new slogan for the Gloucester County seat. Fortunately, civic leaders have a better idea. They’re asking citizens, businesspeople, and others to help them come up with the best way to “brand” Woodbury. The timing looks auspicious: New dining spots are opening; $26,000 has been raised to install a handsome clock at the former train station on Railroad Avenue; and the vacant G.G. 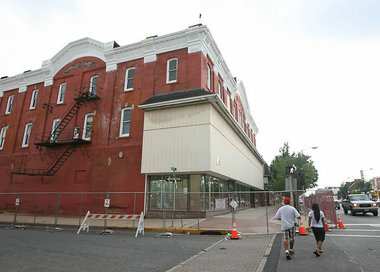 Green building on Broad Street is being saved from demolition. via Kevin Riordan: Woodbury seeks to boost its profile and build its brand – Philly.com. WOODBURY — Just when people had all but given up hope on the G.G. Green block building, in a surprising turn of events, city council has announced a tentative agreement with the RPM Development Group to sweep in and save the structure from anticipated demolition. After a closed-session following Wednesday night’s regular council meeting, Councilman William H. Fleming announced the Montclair-based company had agreed to stabilize the long-neglected and run-down South Broad Street structure for redevelopment into a mixed-use site. We live, we’re told, in an age of transparency. I can point my iPhone at a box of cereal in the grocery store and GoodGuide will tell me how healthy it is for my family. Wikileaks has infamously bared the inner workings of the U.S. government for all to see. Twitter and Facebook have made it harder for companies to bury bad products and decisions. Yet our homes and office buildings remain black boxes. Are there toxins in the wallboard? Were those hardwood floors sustainably produced? 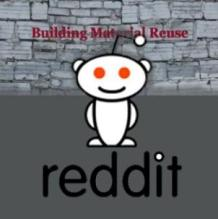 Can any of the building materials be recycled? Your guess is as good as mine. That’s about to change, however. Perkins+Will, an international design firm, and Construction Specialties, an architectural products supplier, have teamed up to create what is apparently the first green label for building materials. It is first being applied, literally, to a commercial flooring product called the PediTred G4 made by Construction Specialties. The label and a companion website details the components and recycled content of the flooring used in commercial building entrances, as well as where the components were manufactured and whether it meets indoor air quality standards. “We spend about 90% of our time indoors so think of this a nutrition label for building products,” says Curt Fessler, a marketing and product development manager for Construction Specialties, also known as C/S. Peter Syrett is an associate principal with Perkins+Will who worked on the label as a way to promote green building practices that minimize energy and water consumption and the use of toxic materials. The construction industry, to put it mildly, is not known for embracing change or altering the way it has done business for decades. Getting the “product transparency label” to become an industry standard will be a challenge and some manufacturers will surely balk at disclosing product information they consider proprietary. But Fessler and Syrett argue that the growing emphasis on green building techniques and a new generation of architects and designers will push demand for such transparency. If nothing else, providing such information could be a competitive advantage for building materials companies catering to those markets. via New Product Label To Promote Green Building Materials – Forbes. Just because you are old and you leak a little, it doesn’t mean you should be put down. I am also referring to buildings. Most architects have heard “the greenest building is the one that already exists.” Consider how much energy it takes to create a new building. Richard Moe, National Trust for Historic Preservation President, estimates constructing a new 5,000 square-meter commercial building releases about the same amount of carbon into the atmosphere as driving a car 2.8 million miles. He also notes it takes approximately 65 years for a green, energy-efficient new office building to recover the energy lost in demolition. Most new buildings in Canada are certainly not designed to last anywhere near that long. I would suggest the benefits of re-development go far beyond carbon reductions. Our cities desperately need the aesthetic diversity and cultural activity supported through adaptive re-use. Given the benefits of re-use – why are so many buildings demolished? There are three basic reasons. First, too many politicians still feel it is better to cut the ribbon in front of a brand new, relatively nondescript, glass box than make the necessary longer term commitment towards a comprehensive, complex urban redevelopment strategy. The second factor is more complicated. Current building codes and civic building permit policies make it very difficult to save buildings. It seems an old building is automatically “grandfathered” as a non-compliant fire hazard as long as the use doesn’t change. However, once renovated, EVERYTHING needs to be “brought up to current standards”. Many developers try this once or twice and then simply throw up their hands in frustration. Almost everyone appreciates a century old marble staircase with intricate wood posts and wrought iron railings. These stairs can function effectively for hundreds of years, but become immediately “unsafe and non-compliant” the minute a building changes use. The issue of course is insurance and legal responsibility. 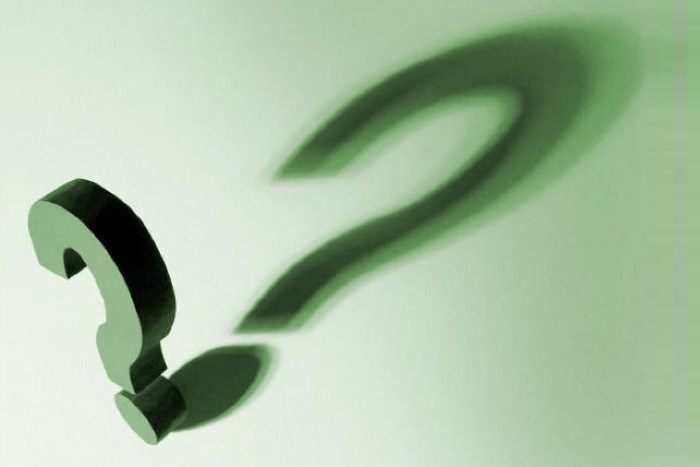 Can you be “partially compliant” – who takes responsibility? I am not advocating unsafe buildings. In fact, I am suggesting that many older buildings could be much safer if there were some flexibility in allowing small changes in use, with incremental safety improvements. Many landlords and developers are not prepared to spend any money on an existing building because it is too expensive to do a complete code upgrade. Also discouraging – many of those upgrades destroy some of the best features of the building. The result is many attractive, older buildings sit empty or end up with marginal, illegal or existing unsafe uses. The third factor is related to code issues and the subtle way regulations discourage mixing uses in buildings. For example there are typically and quite logically, fire separation requirements between building uses which can be very complicated. As we try to encourage people to live downtown, we should seriously consider changes to the interpretation and application of zoning and building code requirements to make it safe, legal and cost effective to have people living above retail and restaurant facilities using our rapidly vanishing, but extremely valuable existing building stock. Charles Olfert is the Architecture Canada | RAIC regional director for Manitoba/ Saskatchewan. He is part of an amateur Blues Band that practices in a heritage building. The application of regulations typically discourages upgrades of this building as well as many others in the neighbourhood. via Demolition costs more than renting a bulldozer – Journal of Commerce.